Clean and prep the pewter...white spray paint primer [they're tiny, need bright colors]. The following schemes to differentiate the Mediterranean squadrons, which are from War Times Journal and Fighting Fleets. I've tried to provide some pics so that one can see how the schemes look and decide if they have visual appeal. It should be kept in mind that it is always possible to differentiate nationalities from one another by tonal variations, e.g. not all ochre is the same color. A darker ochre may ground a white ship better to the viewer, while a lighter ochre will help brighten up a black-hulled ship. As much of these details are unknown, I feel it is better to err on the side of artistry and easy of play than worry about the nitty gritty of possible tonal shades weathered by the Adriatic through a misty season! Also, paint was not nearly as sophisticated as today, and would show up with variation by manufacturer, be applied differently by different authorities, weather badly, and may very well not have a uniform standard conscientiously applied. The purpose of the below pics is not just to provide some [possible] historical paint schemes, but also just to show what certain color schemes look like. This may help the artistically committed gamer decide on paint schemes where there is little evidence! Also, most of the images have links which may well provide a source for further ship images and information. 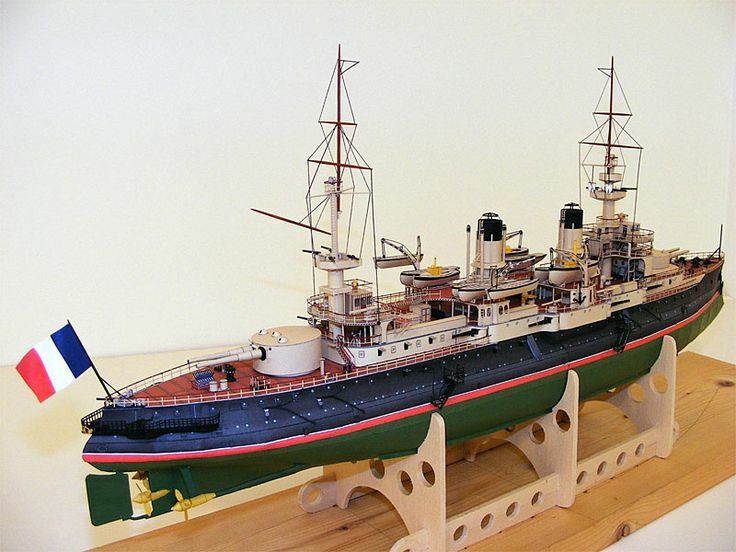 Peacetime: Most black hull, white superstructure , ochre funnels. 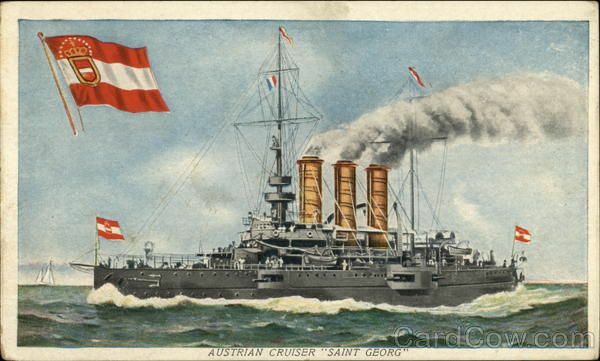 Some light vessels had all white hulls & superstructure ochre funnels. Wartime: No special wartime colors are known. 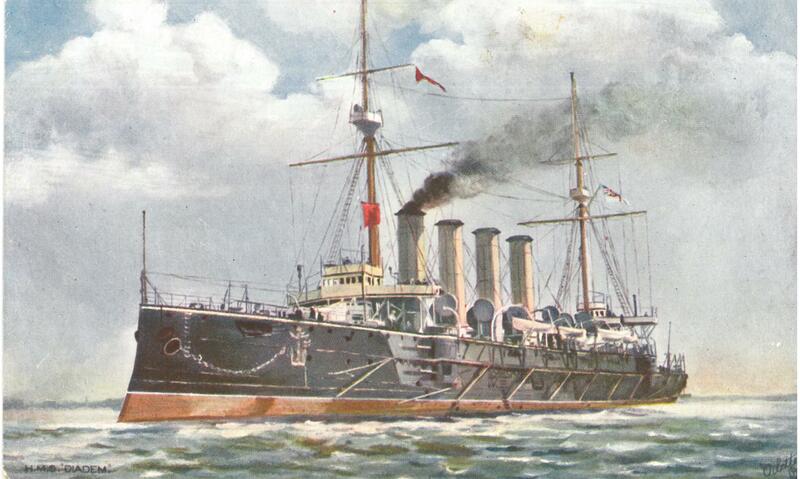 Peacetime: black hull, white superstructure & turrets , ochre funnels and masts. The black hull often had a narrow white band just below its upper edge, all the way around the ship. Sometimes (rarely, seen once on HMS Nile) the black was carried up onto the upperworks as high as the edge of the spar deck, making the turrets black instead of white. Ships on tropical station would usually have white hull, superstructure or ochre superstructure, and ochre funnels. Wartime: Dark Sea Grey (991) all over (except maybe lifeboats, white with brown wash on top). - “FIGHTING FLEETS”: Lt grey all over. DD black. 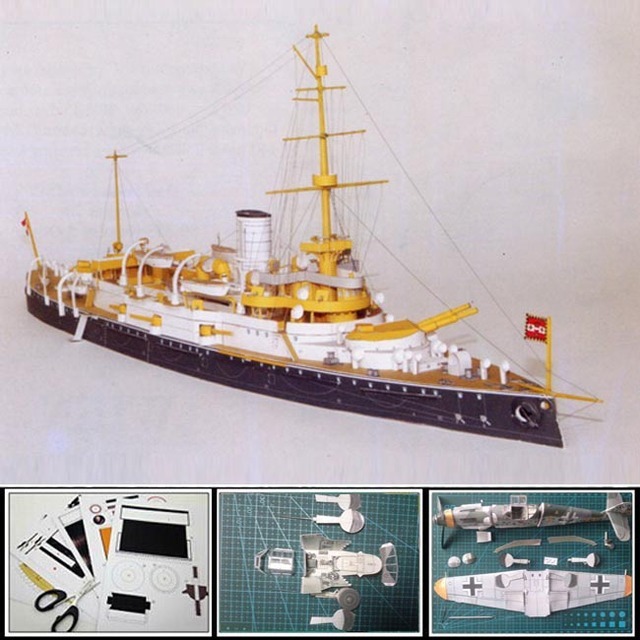 Peacetime: black hull, upperworks and funnels either silver grey (883) or ochre (913). Boundaries between hull and upperworks colors tended to vary widely, some placed very high on the ship at spar deck edge, and some lower at main deck edge.. Best to find photos of actual ships. Wartime: Unknown, probably a Dark Sea Grey (991) or Medium Sea Grey (870) all over. 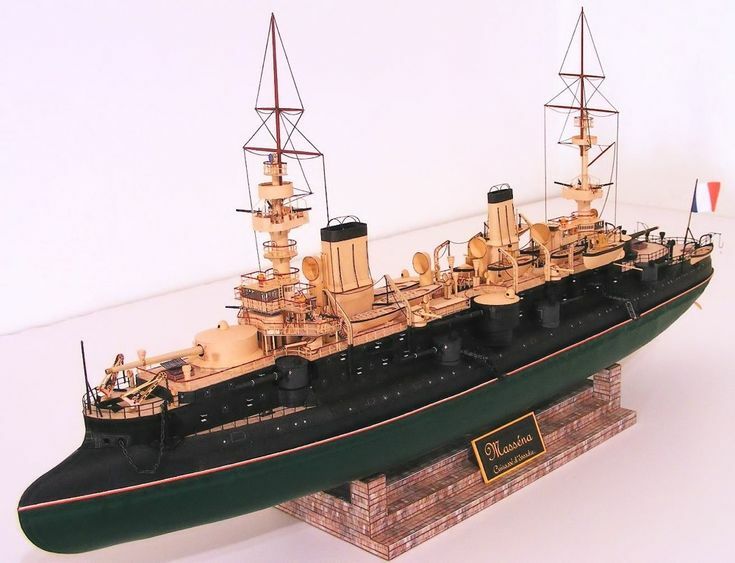 Some sources say French ships have distinct greenish grey, which is supported by some builder's models still in existence. - “FIGHTING FLEETS”: black hulls, white upperworks, black funnel tops, DD lt. Peacetime: Typically black hull with white or Silver Grey (883) upperworks. The transition between black and white could be along the edge of the main deck, or sometimes down the middle of the amidships bulwarks/casemates. 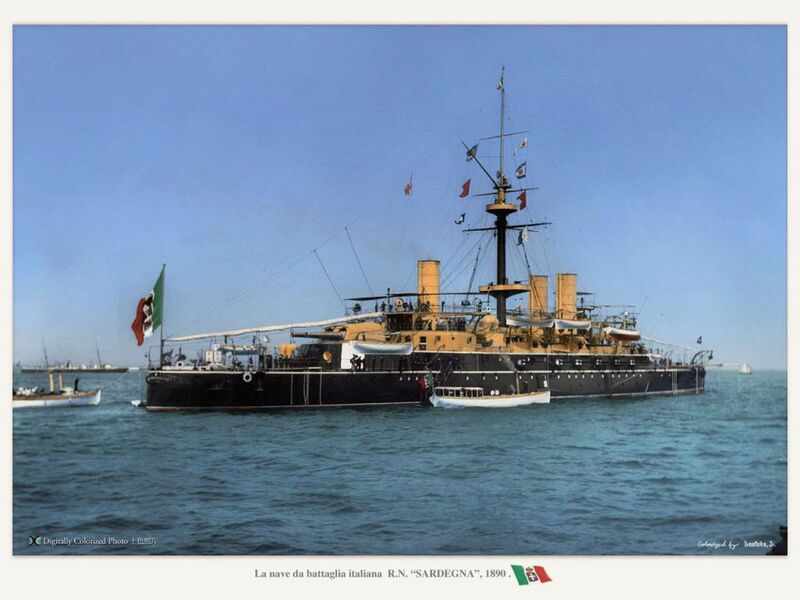 The funnels and masts were commonly painted ochre, and in some cases - such as vessels like Italia or Andrea Doria - the lower half of the funnels would be white and the upper half would be ochre. In vessels with super-heavy guns, the gun barrels were sometimes painted black or dark grey. Wartime: Unknown, probably Dark Sea Grey (991) all over. Interesting look, with white trim, black masts, ochre fighting tops. 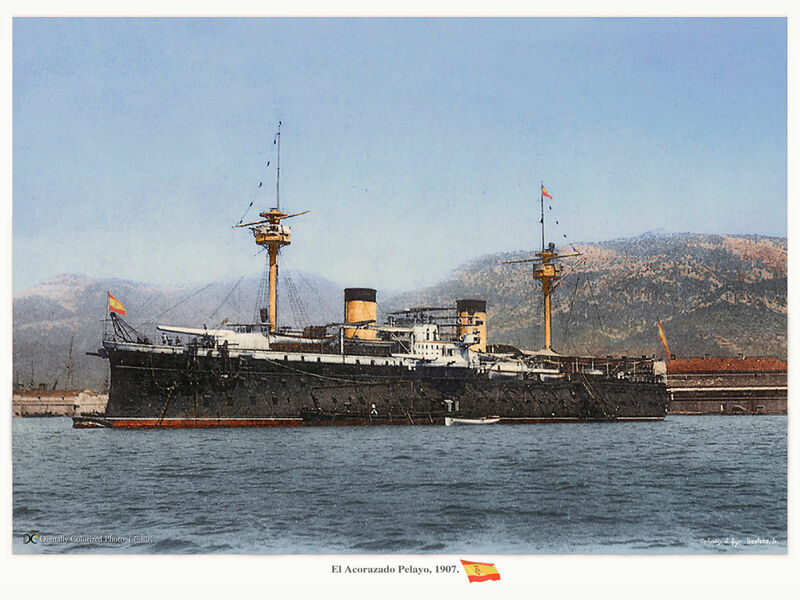 Peacetime: As with other European fleets, a black hull with white or Silver Grey (883) upperworks and funnels. 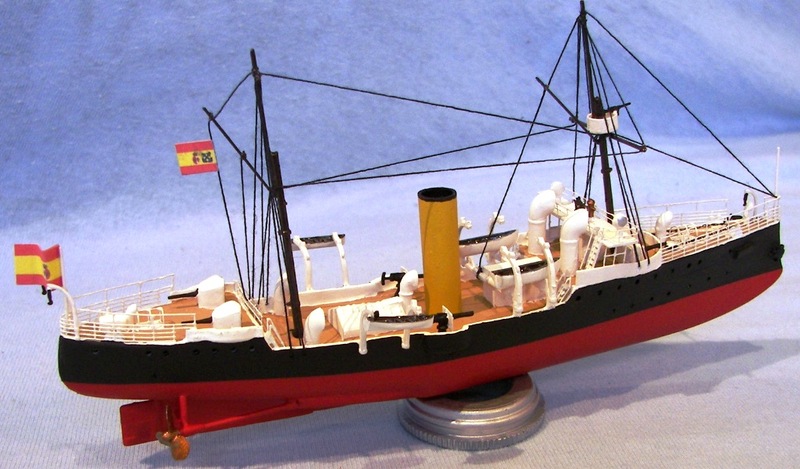 Unlike the rest of the upperworks and funnels, the ventilators, gun barrels and masts were commonly painted black like the hull. Turret tops seemed to be dark grey. Wartime: Reported by Jane's as being Sea Green. The best combination for this seems to be a 1:1 mixture of Medium Sea Grey (870) and Grey Green (866), although straight Grey Green also works while giving a greener but darker appearance. Interesting pic of ochre color transition cutting thru main gun turrets - this may or may not be historically accurate, but it is a good illustration of this sort of paint scheme. 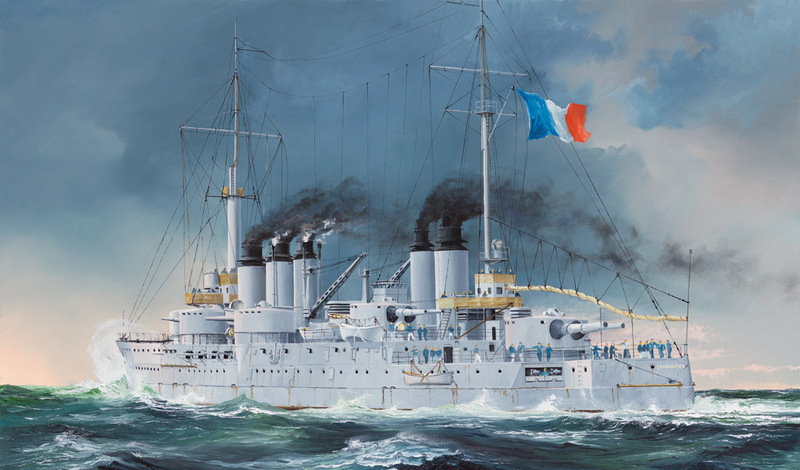 A great variety of color schemes was used on warships between 1885 and 1918, but in general these schemes tended to use similar basic colors. Many fleets used bright color schemes for peacetime and more drab color scheme for wartime. Peacetime colors tended to be black, white, light grey and/or ochre. 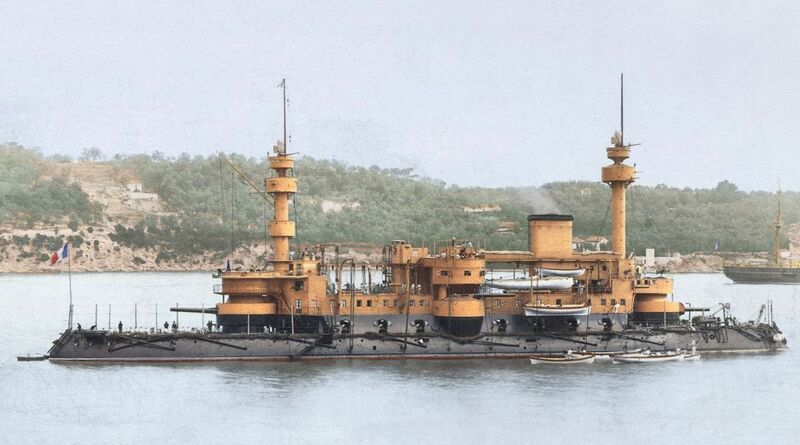 Wartime colors were usually some shade of grey as were most vessels after 1905. Below is a table of the colors we use to paint WTJ fleets, followed by more nationality-specific outlines.